Unitarian Universalist Church of Midland hasn't added a story. This two-day symposium seeks to support transgender lives in the Permian Basin by fostering the growth of a network of providers trained in transgender medical, legal, and mental health professional competencies as well as transgender cultural competencies. Currently, these needs are served ineffectually, if at all, in our region, with the burden of locating necessary professional resources falling on transgender individuals and families of transgender individuals, who may not have the financial means or necessary training to accomplish this effectively. To put it simply, a sustained network of professionals dedicated to making transgender lives more livable in the Permian Basin does not exist at this time. • providing a forum for interested participants from diverse professional backgrounds—including educational, journalistic, criminal justice, faith-based, or other community service backgrounds—to gain knowledge and competency with regard to serving, interacting with, and/or reporting on transgender clients. 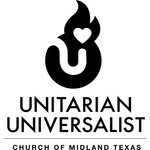 Unitarian Universalist Church of Midland hasn't posted any updates yet. Unitarian Universalist Church of Midland is managing the funds for this campaign.